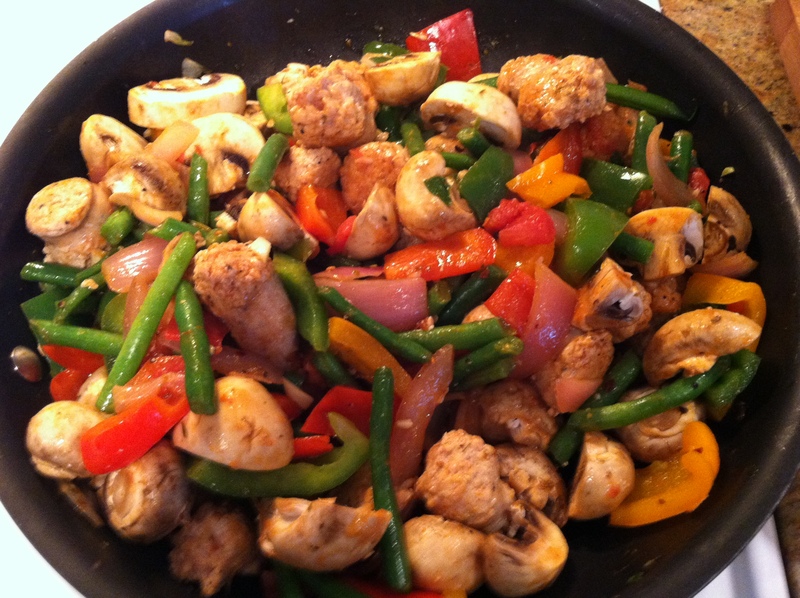 Low Carb Sausage and Peppers Casserole – Healthy, EZ, Yummy! This fresh and tasty low carb dish is fantastic! I modified a recipe I found years ago on food network (called Uncle Al’s Sausage and Peppers). It’s not a lot of work, just some chopping and mixing. Filling and satisfying, a great fall or winter meal. 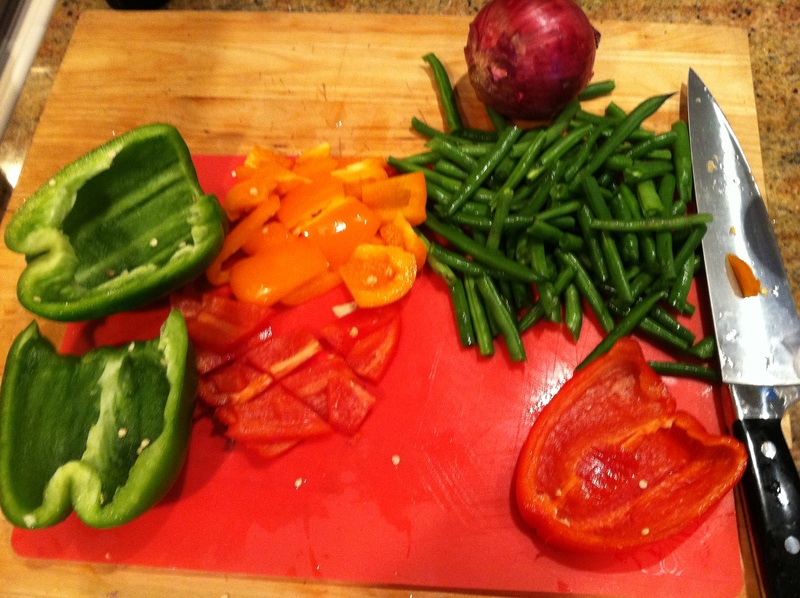 First, cut up your veggies! Heat 2 tablespoons of oil in a large skillet over medium heat. Add the sausage and cook, stirring occasionally, until browned, about 6 minutes. (Don’t fully cook the sausage, as it will be finished in the oven.) Drain the fat from the skillet. Meanwhile, heat the remaining 2 tablespoons oil in a large skillet over medium-high heat. Add the onion and peppers and cook, stirring, until tender, about 2 minutes. Add in the remaining ingredients except for the mushrooms and Parmesan and cook, stirring occasionally, for another 3 minutes. Combine the sausage, vegetable mixture, and mushrooms in a 13 x 9″ baking pan. Bake uncovered until well browned, about 40 to 50 minutes. Serve garnished generously with basil leaves and Parmesan. I use either chicken or turkey italian sausage; you can use mild or hot sausages based on your preference. For children or those who don’t like spicy, you can omit the red pepper flakes and then just add them later to adult servings.